In a latest report, Motilal Oswal, one of the leading stock research firms in India, revealed that Beauty and wellness company Marico's March quarter sales are expected to go up by 23.6% to Rs 578 crore on Y-o-Y basis. In addition, the company's net profit is also expected to surge by 22% to Rs 36.8 crore on Y-o-Y basis. 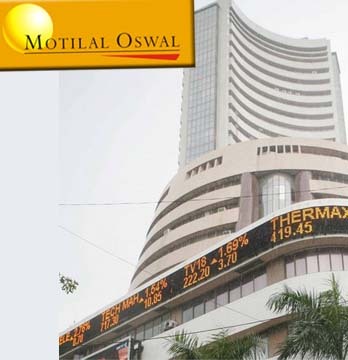 It may be noted that apart from Motilal Oswal, many market analysts are also positive on Marico's upcoming results. As per average technical experts' forecast, the beauty and wellness segment is on a positive growth path riding on the back of fast-changing lifestyles, growing health consciousness, high disposable incomes and demand for quality products. Therefore, they believe that Marico will consolidate its leadership position in the beauty and wellness segment on the back of changing lifestyles, demand for high quality products and consistent introduction of new products and brand extensions. In addition, industry experts expect that despite a recession-plagued environment, increasing contribution from international markets and potential acquisitions should also help the company to maintain its consistent growth. It may be noted that the company enjoys good brand equity in international markets like Egypt, Bangladesh and West Asia. Apart from FMCG products, Marico has a unique retail venture under brand name Kaya Skincare Clinic, which is run by a wholly-owned subsidiary Kaya Skin Care Ltd, to operate skin care solution clinics and distribute Kaya-branded products. Kaya Skin Clinics offer a scientific, unisex dermatological procedure using US Food and Drug Administration approved technologies. Market experts believe that with increased awareness and demand for cosmetic enhancement, the company expected to register good positive results from this division also. The stock of Marico is presently trading at Rs 59 on BSE. The scrip has made 52-week-high and low of Rs 75 and Rs 46 respectively.